Kerala style super rich tomato paneer biryani! It is one of my very old recipe but I keep changing few things here n there occassionaly. 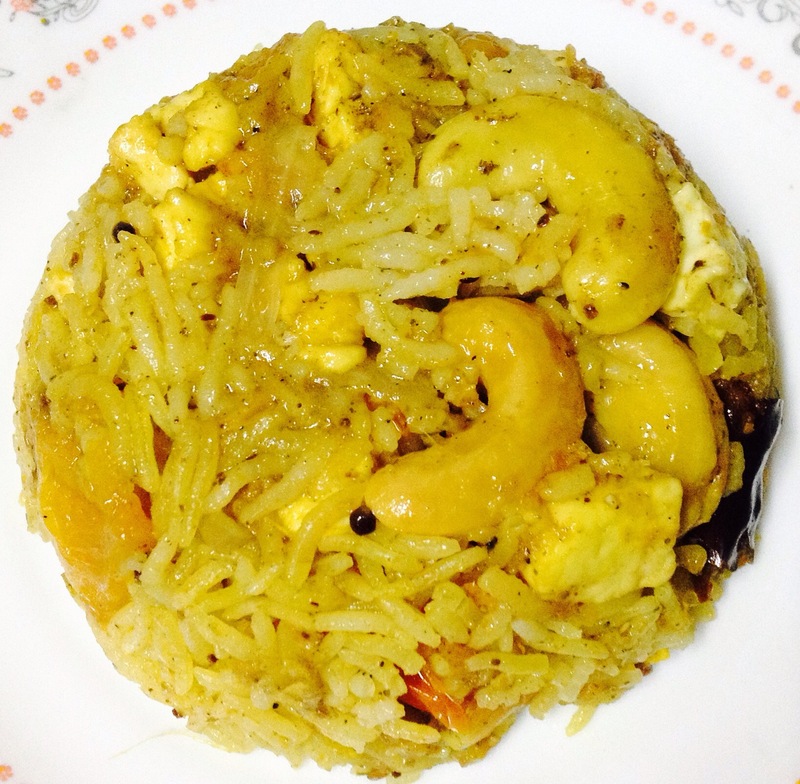 What surprises me is that it is one of the most easy recipe in the biryani category. 1- Take a cooker and put it on high flame n heat it well. and keep stirring in between. 5- Now add cashews, green chillies, curry leaves and fry well for 1 minute. 6- Now add salt and tomato too. Fine paste itself and start leaving oil. 8- Now add raisins with paneer cubes, fry again for few times and add rice. 9- After one minute add 4-5 cups water to it and stir well. 10- Close the lid, on high flame take one whistle, on low flame take 2 whistles and close the flame. *** Serve with onion raita. Super crispy Nutella banana dosa! Delicious patch up of fresh cherries and vanilla icecream.